Congratulations to "Kai", the winner in Stephanie's giveaway. Thank you to all who participated! 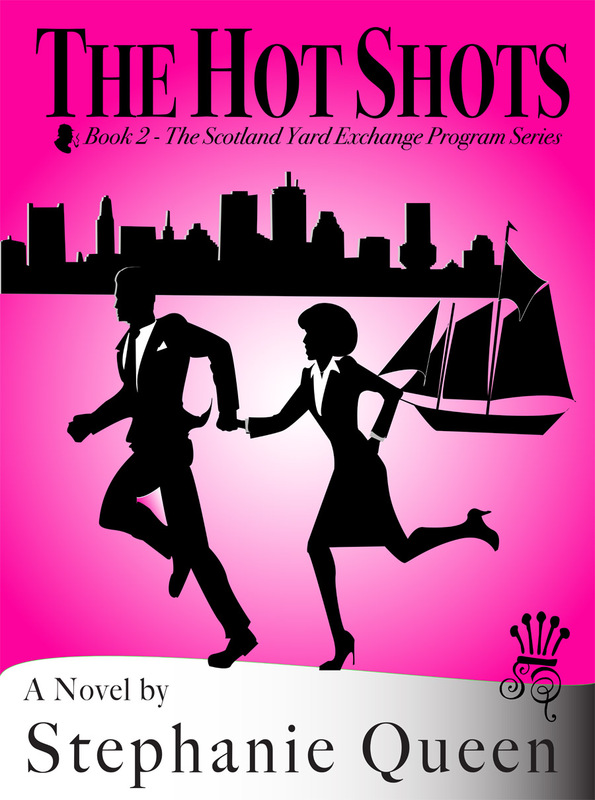 THE HOT SHOTS, book 2 in the Scotland Yard Exchange Program series, is all about larger than life action, adventure and romance. Can you say “Bond, James Bond”? If ever there was a character I’ve fantasized about, the iconic James Bond is the one. With lots of comic comparisons and satiric references to James Bond, my novel was released on November 15th,, appropriately about the same time as the newest James Bond movie, Skyfall. I had lots of fun with the parallels to the iconic Bond in my story about a British counter terrorism agent who is sent to Boston and ends up on the run with a redheaded spitfire bombshell. Said spitfire absolutely refuses to buy into the Bond girl image she finds herself running up against. My characters, Chauncey and Sophia, don’t fall out of the sky, but they do jump off the USS Constitution into Boston Harbor to escape a terrorist with a grudge. Intrigued? That’s all I’m saying. You’ll have to read the book to get the rest. Leave a comment about your favorite Bond movie for a chance to win the new audiobook release of The Throwbacks, book 1 of the Scotland Yard Exchange Program series. For more information about Stephanie Queen and her books, visit her website at www.StephanieQueen.com. My favorite Bond movie is The Spy Who Loved Me. I liked the Voodoo. Any Bond movie starring Sean Connery - hard to say which one is my favorite. I haven't seen a Bond movie in many years, so it's difficult to choose a favorite. I was a big Roger Moore fan, but I'd have to say that Sean Connery was a better James Bond. You guys are great! My favorite Bond movie was Live or Let Die, partly because of the great Paul McCartney title song and partly because of the really cool boat chase scene! Thanks for reminiscing all about Bond with me! Mine would be Goldfinger. I called Sean Connery time frame the classic James Bond. Now Skyfall is definitely the modern James Bond with Daniel Craig. Both are definitely yummy.